Magellan's Cyclo 505 is an ideal biking companion. It tracks routes easily, uploads insights over Wi-Fi and then graphs them in a resource-rich portal. Best of all, we don’t worry about the Cyclo 505 on a ride because the waterproof GPS is capable enough to handle its own. 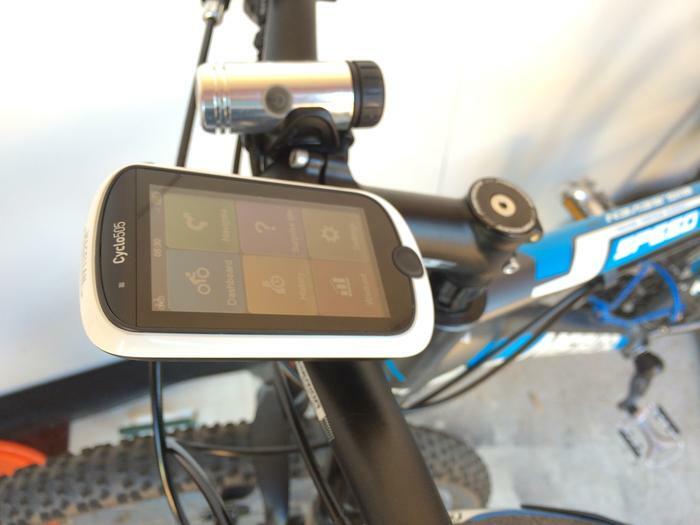 The Cyclo 505 is a GPS unit designed specifically for cyclists. Its 3in screen feeds glanceable track information/performance stats to cyclists when at speed and then uploads them to Magellan’s cloud for easy review over a computer. Part of the Cyclo 505’s kit is a sturdy bike mount that requires no more than an Allen key for installation. The GPS swivels easily on and off the mount, and yet it’s so sturdy you don’t actually think about it when you’re on dirt tracks, bunny hopping gutters or stacking it. We rode in such a fashion for over 100 kilometres and the Cyclo 505 didn’t fall off once. Turns out bike handlebars are prime real estate and adding the Cylco 505 — or any GPS unit for that matter — will take up valuable space. We managed to juggle a torch, reflector and the Cyclo 505 in the middle of our handlebars, but it required some serious tact to get the Cyclo 505 just above our front reflector. The Cyclo 505 is waterproof to one metre for thirty minutes. Rain does not phase it. Once the Magellan GPS is mounted, and you’ve already tuned the settings to your liking, you can focus on the only thing that matters: the ride. The 3in, 240x400 colour screen is both sharp and bright enough to display information under bright sunlight, overcast clouds or in the thick of night. The Cylclo's easy-to-glance software gets the most out of the compact 3in screen. Cyclists have a choice of three different dashboards during a ride: a GPS screen, which proves handy by displaying upcoming turns, an eight-tile dashboard filled with stats, and a six-tile dashboard. These dashboards can be tailored to individual preferences in the settings menu of the Cyclo 505, of which there are many granular options designed to appease the most serious of cyclists. On return home the Cyclo 505 syncs your riding history with Magellan’s cloud service. The complementary service maps your routes, the distance cycled, how many calories were burned and more. New tracks can be found using the portal as it taps into resources from Here Maps and Bicycling Australia. Below are screenshots of the most popular functions. Our only gripe with the online portal is that it works with Internet Explorer alone, but Magellan has pledged to support Chrome and FireFox with updates. Similarly we have few issues with the Cyclo 505 itself, but most of them can be hedged through set up. The Cyclo 505 makes the most annoying ‘beep’ noise known to man. Every tap of the screen sets it off, and it suffers from catastrophic lag. You’ll finish typing long before it catches up to the number of presses made. Turning this off is the very first thing you should do with your Cyclo 505. Another settings worth tweaking includes keeping the screen active. Otherwise there’s no denying the Cyclo 505 is a loyal cycling companion serious bikers will relish. 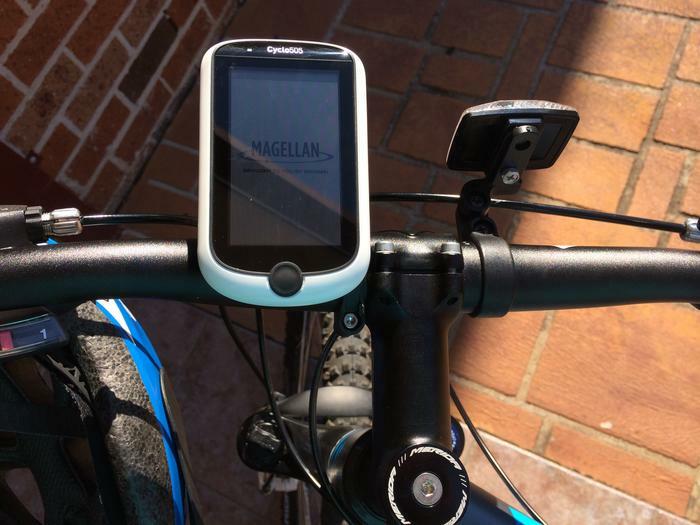 Magellan has already enhanced the functionality of the Cyclo 505 through a software update that made it possible to manage your smartphone. The Cyclo 505 will display incoming texts, allows you to answer calls and manage music playback. Phone audio continues to be played through headphones as the waterproof Cyclo doesn’t have a capable enough speaker. Additionally, the update increased the range of accessories the Cyclo 505 supports. There’s no doubt the Cyclo 505 is a wanted cycling companion. It is durable, is easy to use and it displays worthwhile performance insights. Magellan’s online portal is a gem of a resource for its ability to graph your performance, and for introducing you to new riding tracks. Best of all, we don’t worry about the Cyclo 505 when on a ride. The little device is capable enough to handle its own. And that’s what we want from a bike GPS, because it means we can focus on that darn exhausting hill ahead. 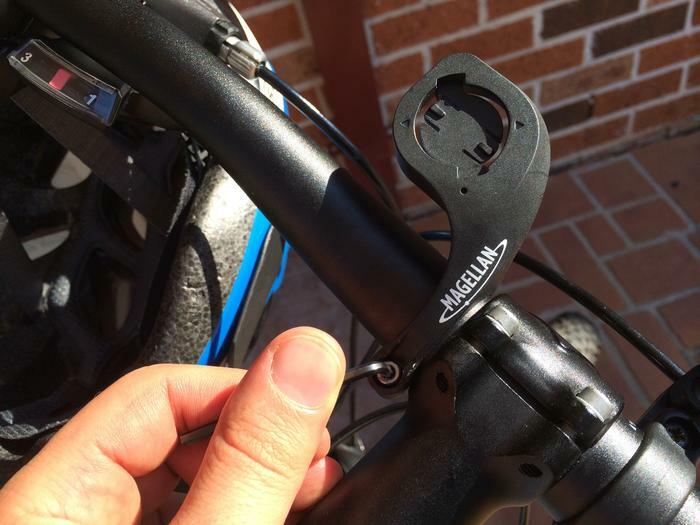 Serious riders know that makes the Magellan Cyclo 505 worth the $400 asking price.